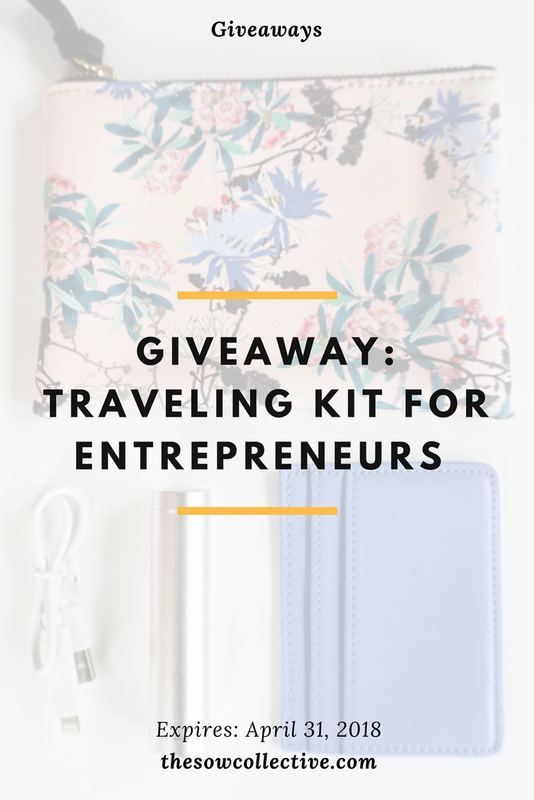 I am excited to announce our first giveaway, sponsored by The Sow Collective! This Van Heusen traveler's combo is perfect for the entrepreneur who needs organization, reliability, and a touch of style. I use a set just like it for my own business -- especially when I'm on the go -- and the power bank alone has saved me numerous times. About the author: Olivia Christine Perez is an award winning marketer, digital content creator, and founder of The Sow Collective. Learn more or work with us.